Founded in 1855, Millersville University of Pennsylvania was established with the ideals that teacher preparation and classical learning are essential elements of public education and enlightened citizenship. One hundred and sixty years later these ideals still hold true. Although the University and it's academic offerings have grown significantly, today Millersville University is considered a destination of choice not only for Pennsylvanians but for out of state and international students seeking a top-rated liberal arts education. Situated on over 250 scenic acres, Millersville offers an intimate and welcoming setting just outside of historic Lancaster City and within easy reach of New York, Philadelphia and Washington D.C. 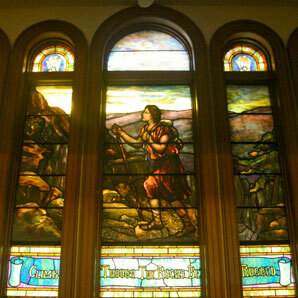 Elegant stained glass windows from the early 1900's can be admired in various buildings across Millersville's campus. Fourteen handmade stained glass windows were installed installed in the chapel of Old Main from 1905-1907 and were a gift from the graduating classes of 1868-1907. Learn more. Miller and S'ville have been a part of Millersville's history for over 50 years. 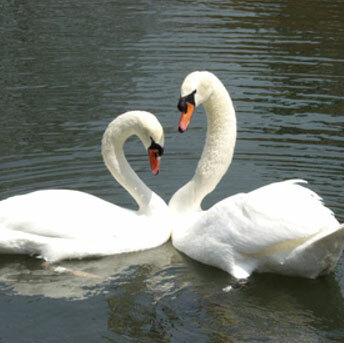 The iconic swans were purchased in 1966 for only $100 and originally named Fred and Ethel. Learn more. Dr. Stoddard served as the first principal of the Lancaster County Normal School for less than a year. Stoddard was the author of numerous textbooks, primarily in the field of mathematics and an educational entrepreneur, founding the Susquehanna Company Normal School and attempting to revive the University of Western Pennsylvania, and a principal of public schools in Pennsylvania, New York State and New York City. Dr. Wickersham, a pioneer in teacher education, established the first state normal school in Pennsylvania and was responsible for the development of the curriculum which served as the model for other normal schools in the state. He was also the founder of the Pennsylvania State Teachers Association. Wickersham left Millersville to become the state superintendent of schools and later served as President Arthur's Envoy to Denmark. Dr. Brooks was one of the original faculty members when the normal school opened in 1855. He brought a national reputation to the school through his writings, lectures and activity in educational organizations. Dr. Shaub was the first Millersville graduate to serve as principal. He was an honors graduate and former superintendent of Lancaster County common schools. His appointment as principal in 1883 was made after many objections by faculty and students. Shaub resigned from his position to become a partner in the Lancaster Carpet Company. Dr. Lyte entered the normal school in 1866 after serving in the Civil War and teaching for two years. He became professor of rhetoric and bookkeeping in 1868 and later a professor of pedagogy and grammar before being named principal. He was associated with the school for 44 years before his resignation due to ill health. Credited for the first building boom at Millersville, he designed and directed the construction of the Science Building (since removed), the Library (currently Biemesderfer Executive Center) and the Gymnasium (now Dutcher Hall). He also oversaw the construction of the Model School, formerly Myers Hall and now Charles and Mary Hash Building. Lyte was also a prolific writer of music and is famous for his round, "Row, Row, Row Your Boat." Dr. Harbold graduated from Millersville and then became a professor of history for a short time. Heading the Model School in 1901, Harbold left to become superintendent of Lancaster County schools in 1911. Returning in 1912 as principal, he resigned several years later over a policy dispute with the Board of Trustees. Dr. Gordinier enjoyed an active career in higher education before coming to Millersville and was the first principal to hold an earned doctorate. He was a Latin professor at Shippensburg State Normal School, dean of Kee Mar College in Hagerstown, MD, and chairman of the English Department at Shippensburg prior to replacing the popular A. R. Byerly as professor of classical languages at Millersville in 1911. His title of principal was changed to president when the normal school became a state teachers’ college. Following his retirement at the voluntary retirement age, he became head of the education program at Beckley College in Harrisburg and later the manager of the Central Teachers’ Agency in Harrisburg. Dr. Tanger, an 1898 graduate of Millersville was appointed president of the state college in 1929. He presided over heroic attempts to save the University and other schools from being closed during the Great Depression and the early years of World War II. After retirement in 1943, Tanger continued to be an active member in the school community. Dr. Biemesderfer, a 1917 graduate of Millersville State Normal School became university president in 1943. During his tenure, the college struggled through the student shortage of World War II, the student surplus of the post-war years and the declining enrollments and state appropriations in the 1950's. During his presidency, liberal arts and graduate studies were added to the curriculum. Dr. Christie was an active individual in higher education and was appointed president of Millersville in 1965. Promoting liberal arts throughout his presidency, Christie oversaw the development of the east campus and other locations. He resigned under pressure from the Board of Trustees in 1968. In 1970, he and his family were killed in a plane crash off the coast of British Honduras in South America. Dr. Duncan was associated with the college for 46 years. After receiving his degree at Millersville, he became a social studies teacher before holding administrative positions such as director of admissions, registrar, acting dean of instruction and dean of students prior to his appointment as president. He oversaw the continuing building boom of the 1960's and early 1970's, the decline of state appropriations in the 1970's, the change of emphasis from teacher training to liberal arts, and rapidly increasing enrollments. Dr. Joseph A. Caputo became president of Millersville State College in 1981 before the transformation of the school into a university in 1983. During his years at Millersville, Caputo oversaw the school's enrollment increase by nearly 1,400 students, the expansion of academic programs including the creation of an Honor's College, master's degrees in business administration, nursing and others as well as minors in areas such as African-American studies and women's studies. He also established the Lancaster Partnership Program, the university's advancement office and improved university facilities including the science and technology building, McCollough Communications Complex and the Student Memorial Center. Francine G. McNairy served as the 13th President of Millersville University of Pennsylvania from 2003 until her retirement on January 25, 2013. During Dr. McNairy's tenure, a strategic planning process was developed leading to a new vision statement, a redirection of the University's institutional identity program, a redesign of the budget process to encourage greater constituent participation and transparency, a focus on securing new revenue sources and a strategic planning process of aligning budget priorities with institutional priorities and goals. She championed an increase in the diversity of the faculty, staff and student body, and established greater outreach to government, business and opinion leaders. She oversaw the completion of the University's second capital campaign and led the development and completion of its successful third $88 million Soar to Greatness campaign. Under her leadership, the University's commitment to community/civic engagement resulted in the Carnegie Foundation for the Advancement of Teaching's distinguished designation as a Civic/Community Engagement University. In 2012, the Washington Monthly ranked the University 68 out of 682 higher education institutions in the U.S. for its contribution to serve the public good -- the only one of the 14 Pennsylvania State owned Universities to rank in the top 100. Dr. John M. Anderson served as the 14th president of Millersville University from April 2013 until his retirement in June 2018. He was a strong advocate of community engagement and sustainability during his time at the helm, including the opening of MU’s first zero energy building, The Lombardo Welcome Center. Among Anderson’s other achievements include closing a $10 million structural deficit as well as introducing three new doctoral programs. In the Lancaster community, Dr. Anderson served as a trustee on the board of Lancaster General Health. In addition, he served on the Lancaster County STEM Alliance Advisory Board where he was also a member of the Rational Career Exploration Task Force. 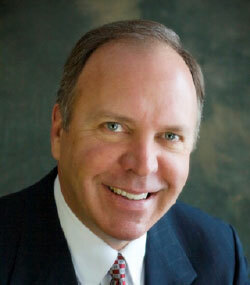 Dr. Anderson previously served on the Board of Directors for the Economic Development Company of Lancaster County and the SCORE Advisory Board. 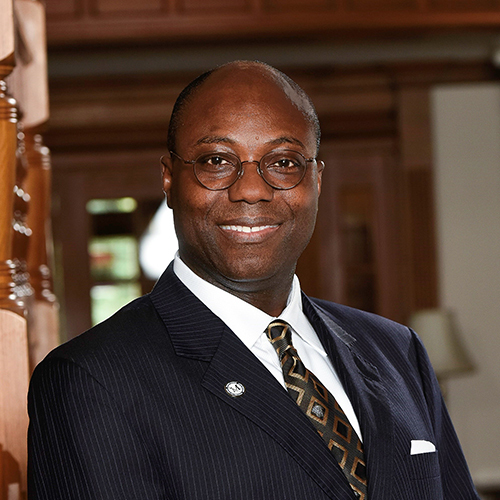 Dr. Daniel A. Wubah is the 15th president of Millersville University. Dr. Wubah was provost at Washington and Lee, the nation’s ninth-oldest college located in Lexington, Va., from 2013-2016. As chief academic officer, he had oversight of two undergraduate colleges and the law school. He then served as a senior advisor to the president, assisting with the transition to a new president. He has more than 25 years of experience in higher education, beginning his career as an assistant professor at Towson State University in Maryland. His career also has included stints at James Madison University, Virginia Tech University and the University of Florida. Dr. Wubah earned a Bachelor of Science with honors in botany and a Diploma in Education from the University of Cape Coast in Ghana, a Master of Science in biology from the University of Akron and a Ph.D. in botany and microbiology from the University of Georgia.